Roll it and crawl for it! Babies discover all kinds of astonishing things when crawling after this air-filled crawling roller. There’s Caterpillar Mina and her animal friends, crackle and tactile features and much more to explore, amuse and amaze. 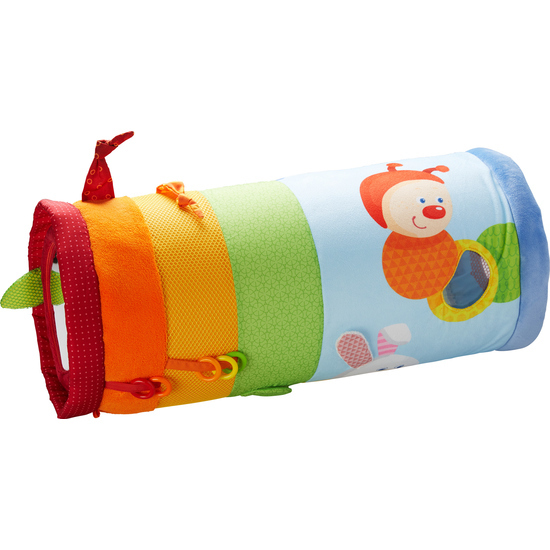 The diverse details make this crawling roller a stimulating toy for all budding explorers.